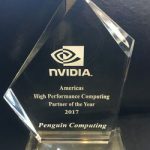 FREMONT, CA – March 20, 2018 – Penguin Computing, provider of high performance computing, artificial intelligence, enterprise data center, and cloud solutions, today announced that Director of Advanced Solutions, Kevin Tubbs, Ph.D., will be speaking at NVIDIA’s GPU Technology Conference (GTC) on best practices in artificial intelligence (AI). 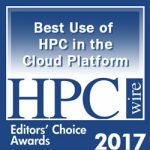 On the second day of the conference, Tubbs will lead the “Best Practices in Designing and Deploying End-to-End HPC and AI Solutions” session. The focus of the session will be challenges faced by organizations looking to build AI systems and the design principles and technologies that have proven successful in Penguin Computing AI deployments for customers in the Top 500. Lessons learned will focus on end-to-end aspects of designing and deploying large scale GPU clusters including datacenter and environmental challenges, network performance and optimization, data pipeline and storage challenges as well as workload orchestration and optimization. Attendees will hear about real life deployments for private organizations and government labs, including those using OCP technology. Tubbs joined Penguin Computing in 2013, where his current focus is providing end-to-end technology solutions, with a focus on AI. Tubbs has over 15 years of HPC experience in various areas ranging from software development and application performance characterization and optimization to hardware and systems level deployment and management and ten years of experience in GPGPU and accelerator programming and heterogeneous computing solution architecture. Prior to joining Penguin Computing, Tubbs served as an HPC consulting and performance engineer for a variety of organizations including Dell, Inc., High Performance Technologies, Inc., the Naval Research Laboratory (NRL) and the Center for Computation and Technology (CCT) at Louisiana State University (LSU). His clients and customers have included, multiple fortune 500 companies, research universities, and government organizations. NVIDIA’s GPU Technology Conference (GTC) is the premier conference on artificial intelligence and deep learning. Over the course of the four-day conference, tech leaders will discuss the latest breakthroughs from universities, startups and major enterprises in a wide range of fields such as autonomous vehicles, smart cities, virtual reality, healthcare, big data and more. Penguin Computing, Inc. is a 20-year-old, U.S.-based global provider of high-performance computing (HPC), artificial intelligence (AI), and data center solutions with more than 2,500 customers in 40 countries, across eight major vertical markets. Penguin Computing offers a comprehensive portfolio of hardware, software, and services, including solutions based on the Open Compute Project (OCP), as well as financing and top-rated customer support. Penguin Computing products include Linux-based servers, software, integrated, turn-key clusters, enterprise-grade storage, and bare metal HPC on cloud via Penguin Computing® On-DemandTM (POD). Visit www.penguincomputing.com/ to learn more about the company.